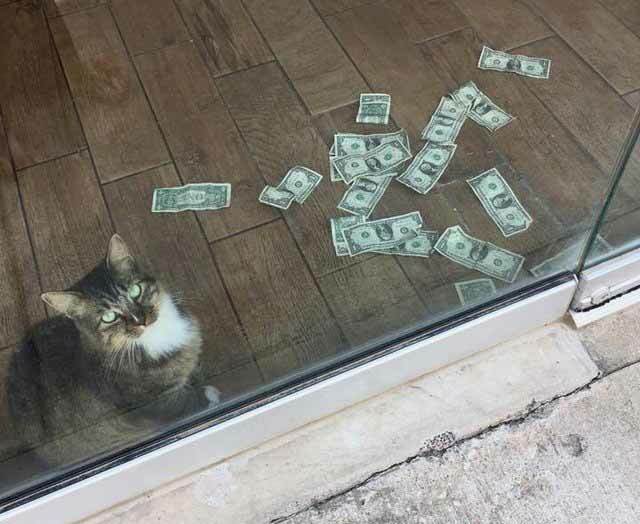 Stuart decided that the best thing to do with the money was to give it to charity, so now there is a sign for people to see that their dollar bill will be going towards helping the homeless at a nearby day center. 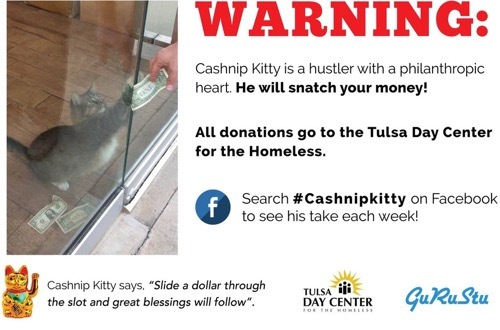 So far, Sir Whines-A-Lot has raised over $100 — donated under his pseudonym: CASHnip Kitty. Keep up the good work Sir Whines-A-Lot! 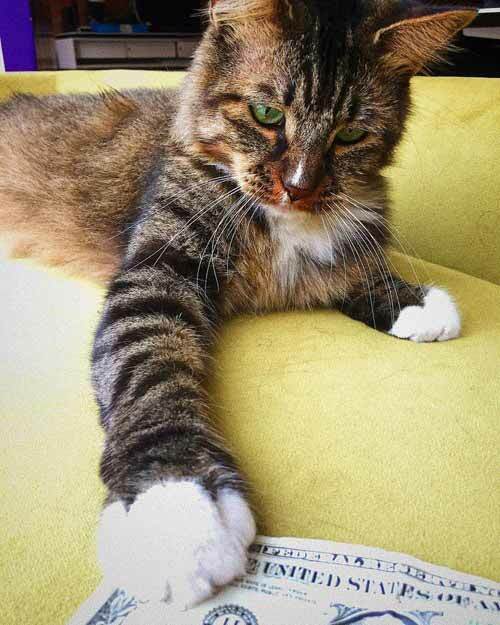 Click here to meet the ultimate kitty money thief!